In this video, Jason explains the motivation behind regenerative braking. He runs through the math to show exactly how much energy can be saved through kinetic energy recovery (regenerative braking). In this first VidFix article proper, I want to focus on a topic that has been of great personal interest to me since I first learned about it: kinetic energy recovery. In this video, Jason explains the motivation behind regenerative braking. This is an older video from the Engineering Explained YouTube channel, so the video quality and pacing are definitely very different from what we now know to expect from this channel, but the quality of the content is as top-notch as ever. In a previous video on his channel, Jason gives a brief explanation of how regenerative braking works. I recommend watching that video, too, if you’re unfamiliar with the concept. The basic idea is that an electric motor running in reverse acts as a generator – producing electricity instead of consuming electricity. This electricity can be used to charge a battery, which allows a vehicle to use energy which would otherwise be lost through heating up the vehicle’s brakes. 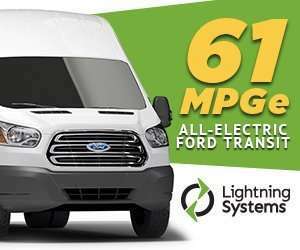 This is one of the many ways that fully electric and hybrid-electric vehicles manage to increase efficiency. (As an owner of a hybrid vehicle, a Honda Clarity plug-in hybrid, I’ve seen up to, and occasionally exceeding, a mile of recovered range when regeneratively braking leaving the interstate.) Despite its ubiquity in electrified powertrains, regenerative braking can also be used in non-electrified vehicles by storing the energy in a hydraulic system, spring system, or in a flywheel system, then used for power take-off (PTO) systems. In this video, Jason runs through the math to show exactly how much energy can be saved through kinetic energy recovery (regenerative braking). Using a couple of basic assumptions, he explains why regenerative braking systems are an important aspect of the push towards more efficient transportation. As expected from Engineering Explained, this is a fantastic video about the motivation behind what I consider one of the most fascinating mechanical innovations in the transportation industry – impressively packaged in a bite-sized five minutes. 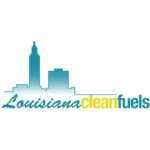 Louisiana Clean Fuels (LCF) was established in 1997 as an affiliate of the U.S. DOE Clean Cities program and received designation in 2000. Formerly the Greater Baton Rouge Clean Cities Coalition, LCF operates as an independent non-profit supported through its partnership with the Louisiana Department of Natural Resources and its stakeholders.